Meet Tim Coppens (last name rhymes with opens), the talented designer who came up through the ranks at Ralph Lauren and adidas and is about to bring his CFDA award-nominated style to Nordstrom. You could call his look athleisure but you’d be better with athluxury. After all, this is the Belgian designer who recently put 150,000 Swarovski beads on Vans sneakers at New York Fashion Week: Men’s. Tim Coppens will be shoppable mid-August on our website, and his wares sold in physical form exclusively at our Seattle headquarters and our new Canadian store in Vancouver, B.C. We caught up with Coppens in his NYC showroom the day after his #NYFWM runway show to get to know him better through his spring/summer 2016 collection, his most personal work to date. The collection is a memory-dive into his formative years skateboarding around New York City with his European friends in the 1990s, listening to hip-hop, watching Kids and VHS tapes of 411 Video Magazine. 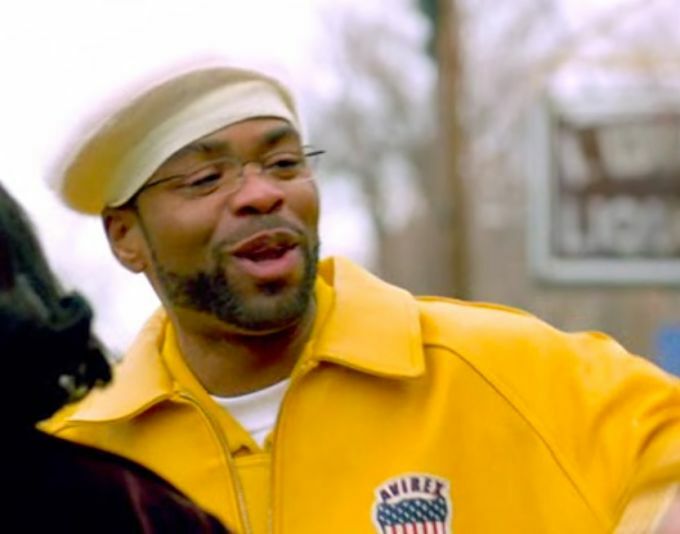 That crinkly nylon jacket above comes from Method Man. His red leather pullover is a Patagonia hijack. The magic mushrooms on his varsity jackets come from Tom Penny, the reclusive skater with the psychedelic public image. Basically, Coppens dream of the ‘90s represents a magic part of his life when he hung with a tribe and followed his instincts, and which changed him forever. Nordstrom blogs: Let’s talk about this collection. Tim Coppens: For me this collection is so much more personal than before. We’ve done products. I’ve done products. People look at them and say, OK. But now I did the casting, and picked exactly who I wanted. That kid, that kid. We picked two kids from the street. What in my life shaped me? You start thinking, Well, I’m European. And there’s all these brands that show in Paris. But I came to New York when I was 19. I came with my friends and we saw Supreme. And that changed me. I knew it was here, this whole thing, New York. So why should I want to show in Paris, if everything, the reason I came to New York, is still here? It evolved, but if you look at these kids and how they came in for casting, there’s still a similar vibe. It’s different. It evolved. Everybody has an iPhone. But there is something still the same. These pieces are considered, cut, tailored. The colors. The khaki, we worked really hard getting all these the same shades of gray, in different materials. And the red, it’s this smoky, 1970s jazz in there. But it’s not too vintage, either. When did you come to New York for the first time? Do you know the rapper Big L? I could see him wearing this white and orange jacket. Yeah, yeah. The yellow was a Method Man picture. There’s certain pictures that stick with you. And that red was in a lot of vintage that I checked out in menswear that was really ugly, but kind of cool. I look at everything. There’s this band, Sorry Bamba du Mali. They do jazz, African, 1970s. I was into African style, but modern. I didn’t want to copy tribes with their masks. But I love it, it’s part of their religion, it helps grow the vegetables. The way African tribes use masks is really beautiful. I feel like a lot of this culture is being commercialized and a lot of it gets lost. And I won’t pretend like I get it. I take aesthetics from it, or I should say I’m inspired by the aesthetics. There’s a lot of magic. Which is what I’m inspired by. And you see a lot of mushrooms on these clothes, which is more magic. It’s something that you would have seen on a t-shirt in the mid-1990s. We still do. More and more again, actually. I have very flexible ankles. I have a hip with no cartilage. I need knee replacements but I’m too young. The doctor said I have to wait a little longer. But the damage is done. So I skate. But it’s not about being tough or anything. You know, when people run these days, go out for a run, they don’t just run. They run marathons. Everybody takes everything so seriously. Skating was just very fun. You fell, but it was fun. It was that group thing. When you’re on that board. And it was that group thing that I felt backstage with those kids. We didn’t do their hair. We just let them be. It’s cool to hear about where you got these colors from. Where did you get the orange color? Guys on the street. Construction workers. I actually had one of those jackets that I wore, the construction worker jacket, with the 3M reflective. When I was in Antwerp, everybody was really into fashion, fashion, fashion. Everyone wanted to show in Paris, work for Yves Saint Laurent. But there were two, three guys who were like, Let’s figure this out, see where it goes. I was one of them. I didn’t have this drive to go to Paris. I didn’t want to, at all. I wasn’t interested. But were you inspired by Dries Van Notens and Ann Demuelemeesters? I was, and I am. I like what they do. I look at Balenciaga, and what Helmut Lang did was amazing. But I wanted to figure out, What do I want to do for myself? It’s not easy to do that. You have to figure it out. I felt that in this collection. I think a lot of people felt that. Besides making money, is that how you define success? I’m not making money. Not yet. I think you gotta stay true to what you believe is right for the brand. I mean, you can go two ways. Of course I think about commerciality and making a product that sells. Because it’s a business and we have to live. But I also believe there’s an idea in it and I have to believe in that, and if I do and I stick to it, people can feel it. Because I live it. I skateboard. I am this. People are resonating with that, getting the references, and I never had that before. What’s the brand about? Giving that story is something that is coming out more and more. I have a gray sweatshirt and another brand has a gray sweatshirt, and the reason somebody might buy mine is because they understand the brand. They get it. Look at, for example, what Shayne Oliver does with Hood By Air. It’s so specific. But people get it because it’s sincere. And it’s his language, and he speaks it very well. It’s more than just the clothes you see. It’s his entourage. It’s how he talks. It’s his world. And right now, we’re starting to get into that. I’m starting to get into that. When you’re young, ten years ago, I wasn’t going to get into that. But now I’m older and I think about how I want to build this image. And we’re thinking about how to structure the business and make a product that fits that. We’re becoming mature. It’s a serious business. But you have to be careful not to get too dry. Or else you don’t have any soul. This is all a little conceptual, I know, but it’s where I am right now. Billy Reid at New York Fashion Week: Men’s | Designer Q&A Street League Decoded: Joggers, Bombers and Layers (Including Shorts) Zachary Prell at New York Fashion Week: Men’s | S/S 16 Images and Designer Q&A The Sounds of Vancouver, B.C., with Richard MacFarlane of 1080p Collection | Listen Up!